GLOGIRLY: Waffles Wednesday: Vegas Baby, Yeah!!! Waffles is Going to BlogPaws! Waffles Wednesday: Vegas Baby, Yeah!!! 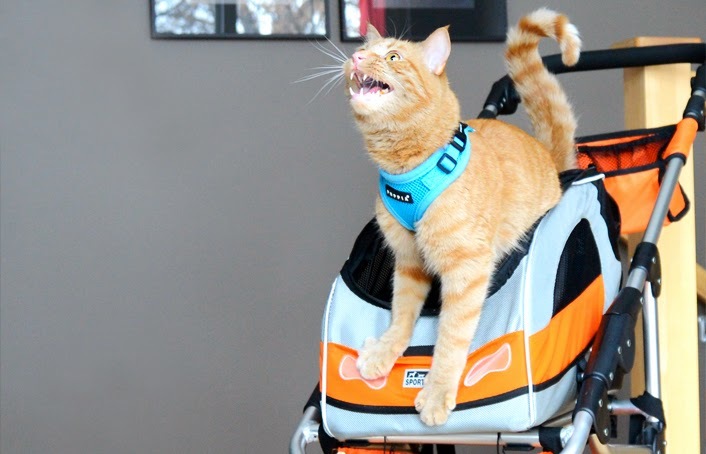 Waffles is Going to BlogPaws! Did you hear? Did you hear? I'm going to Vegas! TODAY!!! Glogirly is taking me with her to the BlogPaws Pet Blogging & Social Media Conference! I get to fly on a plane and everything! AND... we're bringing my Waffle Wagon! Glogirly and I met with our vet yesterday to talk about my trip and make sure I was ready and that I'd be ok and all. I have a super official looking Statement of Health to show all the airport guys. I might be a little scared on account of this is my first really BIG trip, but Glogirly will take really good care of me. She's bringing my red dot, my feathers, my catnip pickle and lots of treats too! I have two litter boxes... a little one she's carrying with her and a bigger one in her suitcase. She even bought a portable scratcher for me! She says I have more stuff in the suitcase than SHE does! I get to sleep in a hotel room for four whole nights. Glogirly is bringing my favorite pillow. It's her pillow to so we're going to share. We'll be sure to let you know how everything is going. Do you think the Boss will miss me??? I think the Boss will realize how much she really loves you! I can't TELL you how excited I am Waffles! Waffles, don't let my human annoy you too much! And don't give her too much leeway or she will be all over you like a wetsuit! WAFFLES!! I am so jealous that I am not going to meet you!!! Behave while you're there! You Da Chill ManCat, Waffles...just the kind that Coco is attracted to! Smooches! Tell glogirly to be sure and ask for a separate closed room when they need to inspect your carrier! Our Meowm will see you there! Katie gets peace & quiet time, GloGirly gets extreme networking, so many blog buddies het to meet Waff, and he gets so much attention his tail may grow another inch!! BratCat & I are überenvious. And we reallly wanted a little bell. Very sad we aren't able to go and see yous. Have a nice time, though. Dat's wunnewful Waffles. Hav fun!!!! My heart brims with pride for our boy Waffles and his big adventure I KNOW Mum will look after you, and I KNOW she will be there with you every minute. Be great, Be Good BE WAFFLES!!! Have fun! I've never been on a plane, but my doggy sisfur has a lot. Well, I was a little sad about not getting to go, but OMC now I am missing the chance to meet Waffles in person?! 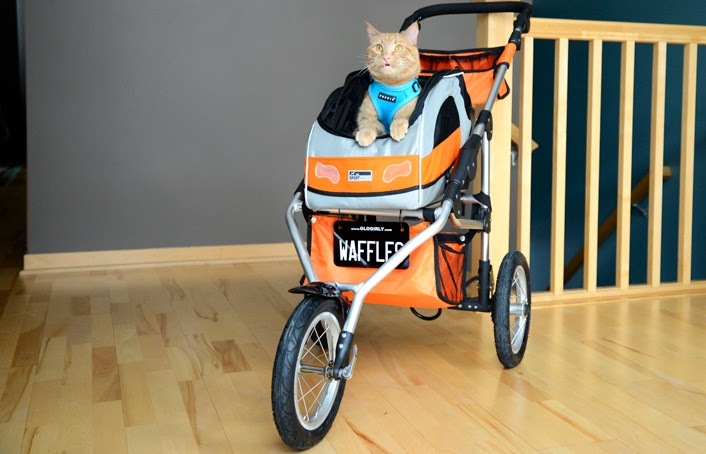 You are one lucky kitty Waffles, I'm sure you're going to be very popular! Wow!!! Katie may enjoy this!!! Oh Waffles! I am ridiculously excited about your trip. Have a wonderful time and be sure to get plenty of rest. Waffles will be the star of Blogpaws! How exciting! Safe travels to you, Waffles! I know you'll be the star of the conference. Waffles, I hope you have a good time on your trip, I have no doubt you'll be the star of the conference! Wow, Waffles! That's cool! Are you gonna do any gambling when you're there? ;) The mom will get to meet you! Katie probably thinks this is a vacation for her too! How exciting, Waffles! We know you will be the hit! Have a great time and safe trip! Aw, you lucky guy you. The ladies there are going to go NUTS over you! Have fun Waffles!!! I wish I could have been there. I would have loved to meet you! Of course the boss will miss you...although she will never admit it! 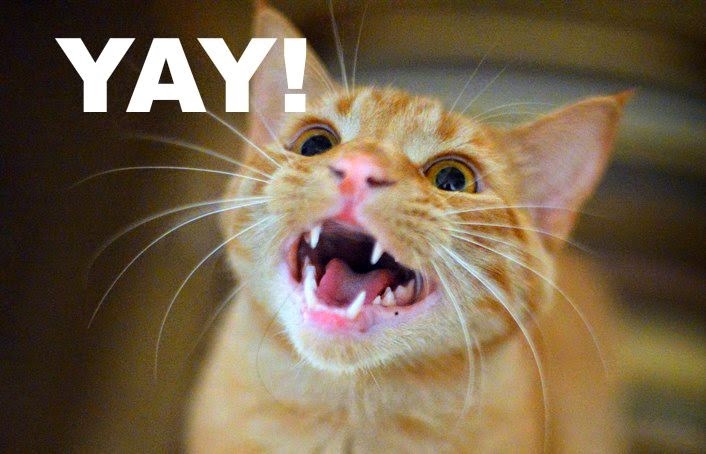 Awesome stuff, Waffles! You and Glogirly are going to have so much fun at BlogPaws! We are sad we're going to miss meeting you, though. Have fun! And yes, we think, in her own way, The Boss will miss you. That is SO cool! My cousin Wafer got to fly on a plane once and he like it...I think you will too. And I'm sure Miss Katie will be enjoying some quiet Dad time at the townhouse while you and Glogirly are party-ing it up in Vegas. It's a win-win situation! I think Boss will miss you. However, Katie and Gloman will definitely enjoy your absence :D Think of it as separate vacations! I'm so excited to meet you Waffles! Have a safe flight! OMD, I'm so excited you get to go to BlogPaws! But an airplane? Yikes. I've never flown on one, but my kitty brother did once. It sounded like a lot of trouble. I'd rather go for a car ride instead! Hey Waffles! You're gonna get to meet my BFF, Herman, while there. Bet you two are gonna have lots and LOTS to meow about in Vegas. OH boy what happens in Vegas stays in Vegas. Katie rang me up last night and I think she was dancing and celebrating. Now I know why. Have a great time. I don’t think Glogirly needed to pack all that stuff cos I’m sure the vendors will make sure you are very well taken—care of, that is. Woo Hoo! Waffles, you will surely be the star of Blog Paws. Our mom will get to meet you. We are not really jealous, because we don't like strangers and crowds. We are SURE that Katie is very happy for you :))!! Wonderful news Waffles..I hope you and Glogirly have lots of fun..I'm sure everyone will be spoiling you little orange guy..Do I think the Boss will miss you..I sure do sweetie..though I don't think she would admit it if I asked her..Tell Glogirly that the kitties here received the Petbox they won..They are all pretty crazy on nip right now..Take lots of pictures!! I think the Boss will breathe a sigh of relief...a vacation for her too!! But have fun Waffles - what a true adventure for you. Wish I could be there to meet you! Rock the town!! What's Katie going to do without you??? That is so exciting Waffles. Everyone is going to love you. How exciting! Have a great trip, Waffles! We think Boss will miss you for sure! We can't wait to meet you Waffles! Oh, how I would love to see you off at the airport!! Tell Glogirly to take lots of pictures. I hope you get to sit with her on the plane. I know you will do good and you will represent Glogirly fantastically!! I'm sure Katie will miss you lots! We mostly miss the goofball stuff people do or in your case little orange monster do when they are away from us. Give us a report from Katie! I'm sure she will be looking all over for you in the Townhouse. Have fun Waffles. Can't wait to hear all about it. Oh wow Waffles. We are not sure about flying with mum, we aren't even that good with going in the metal monster for short rides. Have a good time, Waffles! And Katie, have some good quiet time. Need a little black and white company? Have a safe and super fun trip Waffles!! Wish I was attending to meet you in person.